Is it Real Love If It's All Online? You know, that head-over-heels, shoots-for-the-stars, crazy-on-the-inside, love. A better question, perhaps, is how would we fall in love if we couldn’t see each other. If we only had to rely on connecting with a person on a real, deeper level. If you have ever seen the movie The Lake House, then you know this popular romantic comedy is about two people who transcend a bizarre time gap to find love in each other, through letters and a mailbox of a house that they shared during separate years. The reason why it makes us tear up and want that is because it shows that real, undeniable love, is possible before you meet someone. Online dating creates a unique dynamic where this is possible. Where you can meet someone, get to know things about them, and fall in love with them before ever meeting them in person. You can see pictures of them and maybe even video chat, but you are not in the physical presence of them for some time. By the time you meet them, you are filled with excitement over finally putting a face to someone you love, unexplainably. But why? How does it all work? Sharing similar interests and experiences as someone else becomes one of the strongest connection points for two people. Not only does it give you something to talk about, but it gives you a better understanding of what makes up a person. You can relate to their feelings about a topic or the way that a particular activity makes them exited. You feel understood. That is easily achieved when you are talking online with someone of interest and it can easily help you establish feelings that have the potential to deepen later on. When you talk to someone who is online, there is less judgement than when you meet and talk in person. More specifically, you are able to be more objective. You are not analyzing the button that is missing on his shirt, you are analyzing the way he talks to you in his messages. People find it easier to connect online because they feel less pressure to perform, so to speak, than they do in person. It is easier to simply be yourself. 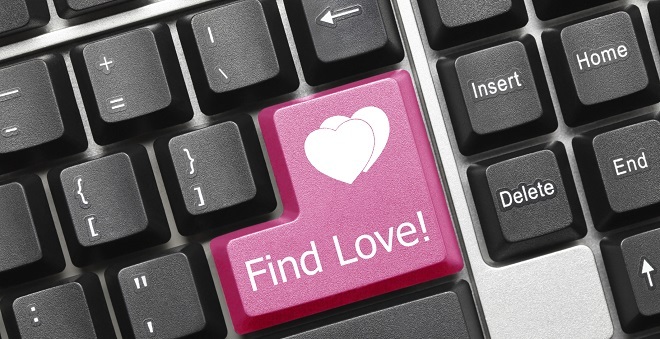 Falling in love online is sort of like falling in love with your favorite character in a book. You are interested in what they have to say and their life story and you all in love with everything about them – good and bad. You find yourself enjoying the conversation and getting to know more about someone and the attention than you do worrying about whether or not the person is going to look perfect on paper or if your parents will approve of his appearance. You genuinely fall in love for the right reasons. Will every person whom you find yourself smitten with online be what you expect, offline? Unfortunately not. Taking the time to really get to know someone online will make it easier for you to embrace whatever comes your way offline because you have already established a deeper connection that is right on the yellow brick road to lasting love.